The most memorable line from O.J. Simpson’s 1994-95 jury trial, other than the “not guilty” verdicts, was defense attorney Johnnie Cochran’s genius phrase, “If it doesn’t fit, you must acquit.” That clear, simple rule is widely thought to be a key factor in Simpson’s acquittal. 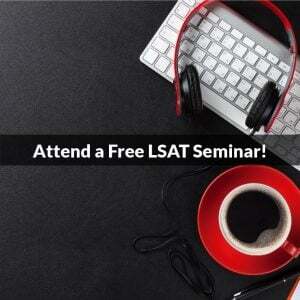 In today’s post, we’re going to look at that statement and its circumstances in the context of the LSAT. For those who don’t know, O.J. Simpson was an American football legend and a well-liked, if not terribly talented, actor. The nation’s perception of Simpson changed dramatically in 1994 when television programs across the nation were preempted to show Simpson, in a white Bronco, engaged in a slow-speed chase with police. Over the next several days, details of a horrific crime captured everyone’s attention: the murder of Simpson’s ex-wife, Nicole Brown Simpson, and her friend, Ronald Goldman. Both Nicole and Ronald were brutally murdered, and Simpson was arrested for the offense. In what was the most-watched trial in history to that point, lawyers spent months laying out the case for and against Simpson. In just one of many blunders, the prosecution asked that Simpson be required to try on a pair of bloody gloves found at the crime scene. Here’s the problem: even if the gloves fit, that wouldn’t prove anything. Anyone who purchases gloves knows that they’re not sized as closely as some other types of clothing and accessories. How many of the approximately 9 million people living in the L.A. area in 1994 wore that same size gloves? However, if the gloves didn’t fit (as they didn’t at the time of Simpson’s trial), then that result would seriously damage the prosecution’s case. In other words, the prosecution, at trial, was taking a risk by asking for an experiment to be conducted in front of the jury when the results were unknown, the upside for the prosecution was slim, and the downside for the prosecution was great. That’s a ridiculous trial strategy (listen to this ABA podcast about tips for trying your first case). It would have been more effective and less risky for the prosecution, by a solid use of dramatic narrative in closing argument, to create for the jury the mental impression of Simpson wearing the gloves. In their mental recreation of the crime, it’s most likely that Simpson’s gloves would have fit just fine. But let’s talk about the glove and Cochran’s famous rule in light of the LSAT. First, think about an assumption involved in the test. The prosecution’s theory was that Simpson was the murderer and wore the gloves when committing the murders. Therefore, they thought, the gloves would fit him at trial. But this assumes that neither Simpson nor the gloves had changed since the time of the murder. In essence, the prosecution fell for a version of the Time Shift error, thinking that because something has been a certain way in the past, then that thing will continue to be the same in the future. Things had changed, though. At the crime scene, the leather gloves had been soaked in blood, and then were frozen and refrozen several times. So, the gloves were necessarily different than they were on the night of the murder. And Simpson had changed as well. Time had passed and he was under considerable stress. Simpson also suffered from rheumatoid arthritis, and regularly took medication for his condition. A prosecution theory for why the glove didn’t fit was that Simpson had stopped taking his medication prior to trial, causing his hands to swell. And what about Cochran’s famous statement, “If it doesn’t fit, you must acquit”? Clearly, this is a conditional rule. But let’s break the rule down a bit. What Cochran was saying is that if the gloves don’t fit, then the prosecution had failed to prove that Simpson murdered one or both of the victims. This rule draws an equivalence that isn’t necessarily supported. So, let’s look at it a bit further. The application of the rule would be that if the gloves don’t fit Simpson now, then they didn’t fit him on the night of the murder, either. If gloves didn’t fit Simpson on the night of the murder, then he didn’t wear them or for some other reason leave them at the crime scene. If Simpson didn’t wear the gloves or leave them at the crime scene, then he did not commit the murders. See how Cochran’s rule had some serious assumptions within it as well? Now, to be fair, the job of the criminal defense is not to prove innocence, but to create reasonable doubt. The prosecution in the Simpson case was making a circumstantial argument, essentially building a chain of evidence, in which each piece of evidence is a link in that chain. To win, the defense simply needed to convince the jury that at least one of the links in that chain was flawed. Here, Cochran and the defense team removed a link from the circumstantial chain of evidence by demonstrating, at the prosecution’s request, that the bloody gloves didn’t fit Simpson. The rest, as they say, is history. Image: “Mistake” by Herman Yung. Loved the article, and had other questions which led to your article. was there any other evidence about the gloves? Like was there more of OJ simpson’s blood in the glove or specifically where the cut on his hand was. Or a mark or cut on the glove to co-inside. Or why they would be bloody which is whats tying him to have been using them at time of murder and then why he would leave one at scene. which means he was still handling them with his own bloody hands so would leave his own blood on and in? like would be hard to be in such a rush that you leave one, get blood everywhere else and not manage to get them in the glove you were wearing in a place you were know to be injured. Curious for sure. Thanks a lot. 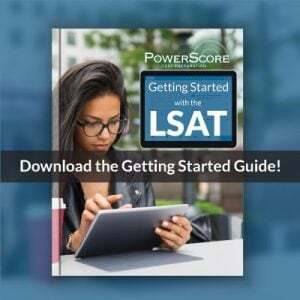 So instead I’ll leave you with this: assuming you’re reading the blog as you prepare for the LSAT, let me congratulate you on a level of inquisitiveness and skepticism that will undoubtedly serve you well come test day! 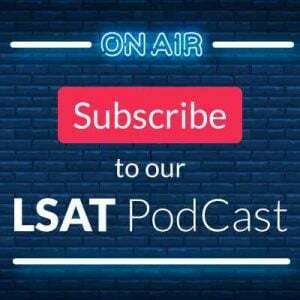 High scorers consistently challenge everything they see on the LSAT, and it seems to me that your mindset (at least in this instance) aligns nicely with that practice. Keep it up! Thank you for you reply and no not preparing for the LSAT. I actually was curious if the information on the blood analysis of the glove was available after a conversation like you mentioned about the case. So decided to see what google had to offer and your article came up. Also thought of something else. Arguing that the glove didn’t fit was strong with the assumptions included, because this would also imply that if they were not his gloves then who did they belong too? Since they had blood you are right that it would not have to be that they were used in the murderer, an assumption, but since one turns up at Simpson’s house it solidifies some of those assumptions. Because of the movement of said glove it would have had to get there most likely be Simpson, the murder who wasn’t Simpson, or it was brought by someone and planted. And since prosecution had shown Simpson had left a clear trail of blood of his own from ground on murder scene, car door, inside car etc. then how would he have not got the same on the gloves with a cut hand if he was the one who brought the one glove to the house? Think his assumption had strong back door implications that because of the blunder he did not even have to go to. Instead of having the jury have doubt between 3 options he took the softball of not fitting. Which would be easier to separate OJ from the 3 candidates. Read another article what talked about how it was hard for jury to get mind around DNA numbers so weakened their argument even with strong numbers. I think like you began the article it was the genius of Cochran to realize this would be a stronger argument of shifting minds than facts. Maybe I made an assumption in there..lol…seemed like a lot of ifs…Anyway Thanks again for your article and response, you have inspired conversation and thought and it is appreciated! Sure thing! I appreciate the conversation, as well! What about the fact that he was wearing latex gloves while trying the infamous gloves on? Wouldn’t that make for a more difficult fit? Nobody ever talks about it, but I can’t imagine wearing latex underneath would allow the gloves to slip on easily. Wouldn’t the glove have a cut where his hand did if he wore them during the murder? If he wasn’t wearing the gloves during the attack, how did they get everyone’s blood on them? It is hard for me to fathom. The only way i can see it happen is that he already had a cut hand, committed the murders with the gloves on, then inexplicably took them off directly after, dropping one. Then somehow he dropped the second one while hopping the wall. It doesn’t really add up to me, so I can see how Fuhrman pushed past reasonable doubt.